One good indicator of a life lived in the fullness of the Spirit is a joyful, singing heart. When the Holy Spirit is really in control, he fills you with joy and he fills your heart with singing. Life lived in the flesh doesn’t produce joyful songs, but life in the Spirit always does. 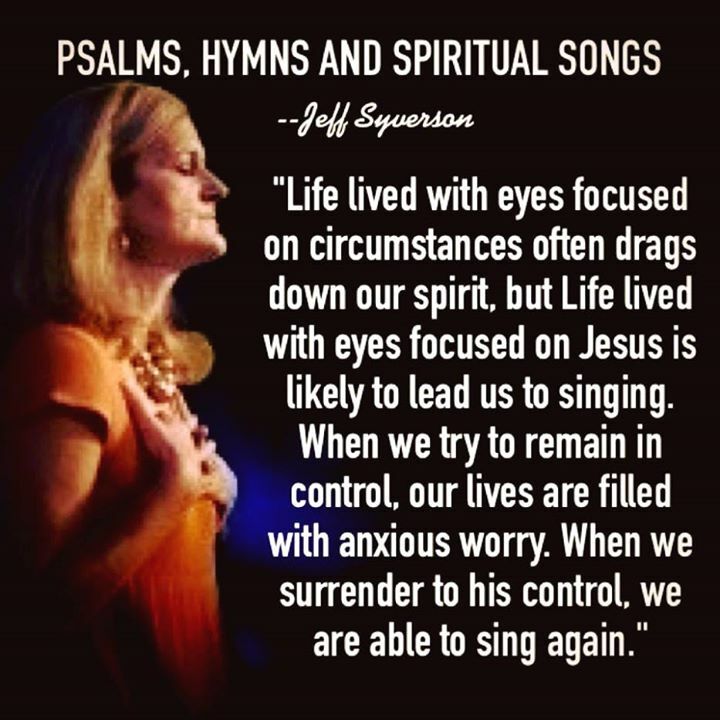 Life lived with eyes focused on circumstances often drags down our spirit, but life lived with eyes focused on Jesus is likely to lead us to singing.